We offer comprehensive outpatient mental health services at three conveniently located clinics in Frederick County, as well as off-site counseling services in Frederick, Montgomery, and Washington Counties. Our staff consists of licensed social workers, counselors, nurse practitioners, and board certified psychiatrists who treat children, adolescents, adults, and seniors with a wide range of mental health conditions. We offer a full range of therapeutic and medication management services for children, adolescents, adults, and seniors with a wide variety of mental health conditions. 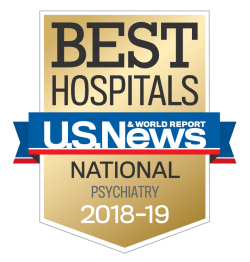 Experienced, board certified psychiatrists are available to provide psychiatric evaluation as well as ongoing medication management. BHP social workers and counselors provide therapeutic evaluations as well as ongoing counseling services for individuals with a wide range of emotional, cognitive, and behavioral concerns. We offer individual, family, group, and couples counseling, as well as play therapy for children. Family psychoeducational group therapy for clients with schizophrenia and clients with bipolar disorder and their families is also available. Most private insurances, as well as Medicaid and Medicare, are accepted. Please contact us with any questions regarding insurance. To schedule a new client appointment for clinic-based services, please contact the intake department at 301-663-8263, ext. 301. Off-site counseling services are available for high-risk children and adolescents with Medicaid Insurance located in Frederick, Washington, and Montgomery Counties. Licensed counselors and social workers provide intensive individual and family therapy in clients’ homes and schools. Unfortunately, private insurances do not cover off-site treatment, but clients with private insurance can be seen in the clinic by appointment. Frequency of off-site therapy sessions is based upon the individual needs of the client and their family; however, clients may be seen multiple times per week if need be. Providing counseling services in schools allows the therapists to develop ongoing and regular communication with school staff, have access to grades and attendance records, and gives them the ability to attend Individualized Education Program (IEP) meetings, when appropriate, in order to provide a holistic level of care. Therapists work with school staff to find an appropriate time to meet with clients that will not interfere with their academics and does not require the child to leave school to attend an appointment at a clinic. Off-site counseling services are ideal for families with transportation issues or multiple children in the home, where taking a child to the clinic weekly for therapy would not be feasible and would impact the effectiveness of treatment. Therapists may also attend Family Involvement Meetings at the Department of Social Services, or other meetings with community organizations that clients may be involved in to support and advocate for their clients’ needs. To request off-site counseling services for children and adolescents located in Frederick, Montgomery, and Washington Counties who have Medicaid (private insurances are not eligible for these services), please print and complete this off-site referral form and fax it to 301-682-2596. Monday and Friday: 8:30 a.m.-5:00 p.m.; Tuesday-Thursday: 8:30 a.m.-6:30 p.m.
Monday-Thursday: 8:30 a.m.-8:00 p.m.; Friday: 8:30 a.m.-5:00 p.m.; 1st and 3rd Saturday: 9:00 a.m.-12:00 p.m.